Suffolk is a glorious county if you love the great outdoors. Huge skies make for breathtaking sunrises and sunsets; an eclectic coastline of sandy and shingle beaches, dramatic cliffs and salt marshes provide a habitat for an array of wildlife; and there's a plethora of paths and walkways from which to soak it all up, take a few deep breaths and forget the everyday stresses of life. 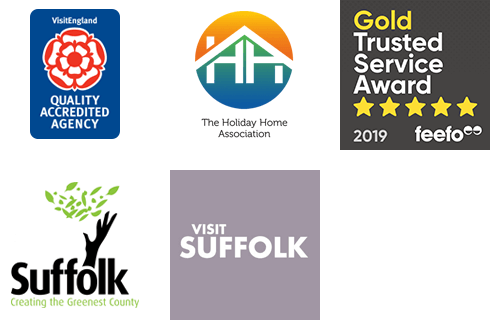 To celebrate the Suffolk Walking Festival and everything 'outdoors' about Suffolk, we're giving you the chance to win a fabulous short break for four people at PIGLET COTTAGE, plus tickets for four to two of the events at the Suffolk Walking Festival. Situated in Uggeshall, just a short drive from the popular seaside town of Southwold and the riverside market town of Beccles, Piglet Cottage is perfectly placed for a spot of coast and countryside exploring. Character-filled with plenty of rustic charm this tastefully furnished and well equipped country cottage can accommodate up to 5 guests, plus one pet. Walkers and cyclists alike will just love it - with plenty of paths and cycle routes on the doorstep. A regular fixture in the Suffolk events calendar and one of the UK's most popular events of its kind, the Suffolk Walking Festival is a celebration of Suffolk on foot and takes place from 11th May to 2nd June 2019. There's something for everyone in the line up of over 120 amazing walks and events: Short walks, long walks, walks with a sheepdog, walks with a boat cruise, walks with a jeep ride, walks with owls and walks with nightjars. There's a night safari, a wild crafting day, tales by the riverbank, and art and photography workshops...the list goes on. All in all a tremendous event (proudly supported by Suffolk Secrets) which encourages everyone to get out and enjoy our beautiful county. Sorry, no pet's allowed on this occasion as the selected walks are not dog-friendly. Cannot be exchanged for any other cottage break or walk. Simply complete the form below for your chance to win this delightful prize. The competition will close at midnight on Sunday 28th April and the winner will be notified on Monday 29th April. Full terms and conditions below. One entry per person. Persons must be 18 or older to enter. The prize is a two-night stay for four at Piglet Cottage, Uggeshall arriving on Friday 31st May 2019, plus tickets for the stated Walking Festival events. Stay is non-transferrable. Standard booking terms and conditions apply. A refundable security deposit will be required. Walk tickets and non-transferrable. Entries close on Sunday 28th April 2019. The winner will be selected at random on Monday 29th April 2019 and will be notified by email. The winner shall have 48 hours to claim the prize. If the prize is unclaimed the draw will be redrawn. I have read and understood the terms and conditions of the competition. I would like to join the Walking Festival’s marketing list.